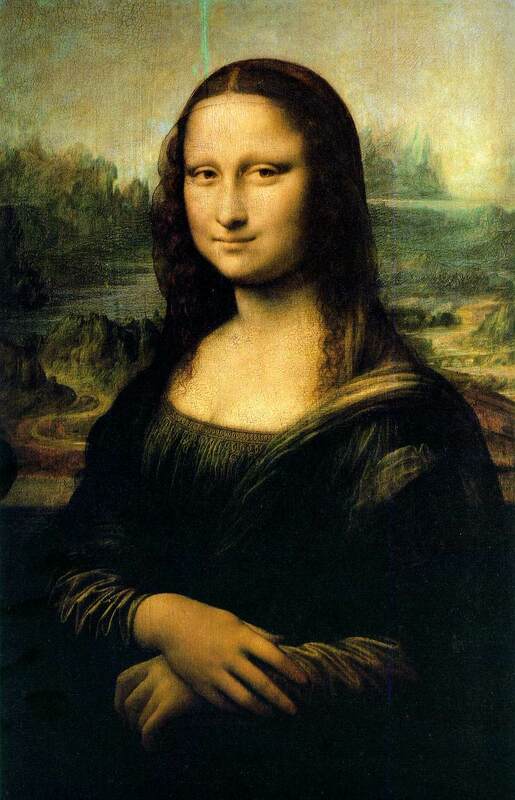 While I was growing up, I remember reading about da Vinci’s Mona Lisa and how enigmatic her smile was. I have been to the Louvre and I got as close to her portrait as I could and quite frankly her smile does not do very much for me. Really other than her mysterious smile, what is the big deal? First of all she is not that pretty and I think the surmises from art aficionados about what she was thinking says to me that they had too much time on their hands. No sport inspires true art more than baseball. Baseball has long been considered a sport for American scribes and poets, and the list of writers who have written on baseball reads like an American literary Who’s Who. Luminaries, such as Ring Lardner, Damon Runyan, William Carlos Williams, Marianne Moore, Donald Hall, Philip Roth, and Don DeLillo had a deep affection and love of the game that energized their work. Less well-known, however, is the love affair between visual artists and baseball. American illustrator Norman Rockwell is probably the most famous baseball-loving American artist. His fascination for the game of baseball, like his own work, is wrought with imagination, honesty and the uncanny sense of baseball players and fans to relate to a game in such an endearing and special way. Rockwell loved combining his love for baseball with his artistic style. He went on to paint 13 covers on baseball, out of the over 300 covers he published for the Saturday Evening Post. I find that a popular American portraitist, Norman Rockwell prompted more thought in his renditions than two DaVincis. I find my opinion especially true when it comes to his work with baseball subjects. As an old Brooklyn Dodger fan from the 1950s, I was extremely interested in his painting of The Three Umpires, sometimes called The Bottom of the Sixth. I had a print of it hanging in the den of my first home many years ago. My knowledge of the game told me that I had found a flaw, not in his strokes but in the logic of his baseball knowledge. If you look very closely you will see three umpires. The lead umpire, with his hand out, is the legendary Beans Reardon, Identifiable by his outside chest protector—the rival American league did it that way, while Reardon’s National League preferred the inside chest protector. Reardon is flanked by Larry Goetz and Lou Jorda. Logic tells me that it is just starting to rain, as does the fact that the Pirate players are standing in the field, waiting to see what the umpires decide. My focus is on the coaches. The painting’s details are readily available. The elderly Pirate is Billy Meyer. He seems upset or distressed by the joyous enthusiasm of the Dodger coach, Clyde Sukeforth, the man who would later be fired for telling manager Charley Dressen that Ralph Branca was ready. The game was apparently played in 1948. One can make out the outfielders in the background. They are Johnny Hopp, Dixie Walker and Ralph Kiner. The actual score 1-0 in favor of the visitors, is probably apocryphal since I could not find anything close to the score. The Dodgers did play seven shorten games but none that I could find with Pittsburgh. The Dodgers only won five of the 11 games played in Brooklyn–none came close to this circumstance. If the rain had just starting, why is the Dodger coach smiling? It is an official game and if the top half of the inning is rained out, Brooklyn still loses. Most explanations I have seen miss this point. I have seen the original in Cooperstown. A small note underneath the portrait, which is surprisingly small, says that the Dodger coach saw a break in the clouds and he was optimistic that the game would continue. There is no indication from anyone else that this is the case. I can only surmise that Sukeforth was exhibiting a Panglossian glee that had little bearing on the reality of their situation. There are at least two other cases of an enigmatic interpretation of baseball art. Recently a friend, Andy Rochman sent me a copy of a 1954 Saturday Evening Post cover that pictured Stan the Man Musial. I had originally assumed that the artist was Norman Rockwell. An e-mail suggestion and a little research uncovered that actually it was painted by a Nebraska artist, John Falter. In Falter’s portrait, Stan was signing a baseball with his right hand. Now every baseball fan knows the man was a lefty all the way. Falter must have gotten it wrong is the first reaction. I have written about Stan and his free autographed baseballs after Mass but the one he gave me had already been signed. I have gotten him to autograph at least a dozen pictures but I do not remember, which hand he used. I have been present when he autographed other items and I never looked. In attempting to solve this mystery, I surmised that the nuns in Stan’s grade school probably forced him to write with his right hand. Some research showed that Musial did attend the Polish school at his St. Mary’s Church in Donora but had gone mainly to public schools through his 12 years of formal education. So quite possible his signing with his right-hand was started by Polish nuns…or maybe not. My wife is a natural lefty and the nuns tried to do that to her but her inner spirit rebelled and it didn’t take. Funny thing–when she played soft ball, she hit right-handed…because her dad was a righty and didn’t know how to teach her any other way. Well the mystery was solved when someone sent Rochman a photo of Stan in the act of signing…with his right hand. The sender also affirmed my guess from an interview he had read about Stan years ago. There is another apparent mystery out there of a similar nature. Many years ago I bought a very large print of a SEP cover with Brooks Robinson, signed by both Robinson and Rock….well…not man. Robinson was signing a baseball with his…left hand. Everyone one knows Brooks Robinson, arguably the best 3rd baseman that ever took a ground ball was a righty all the way. Whoa, didn’t Rockwell know anything about baseball? The dealer told me that he had asked him that and Robinson told him that he only did three things with his left-hand–he wrote, ate and I can only guess what the third thing was. Had had these baseball artists deliberately sought out subjects that would create an aura of doubt? Was he attempting to ensure that people would be talking about their art for years to come? My educated guess is that they painted popular subjects who interested him without knowing that they had a peculiarity only the swiftest of baseball fans would leap upon. As for the Brooklyn episode I think Rockwell’s art trumped his knowledge of the logic of the game. Had he made the top half of the inning a big score for Pittsburgh then it would have made perfect sense and even have included a little bit of artistic drama. The way he did it was at best ambiguous–like Mona Lisa I guess and at worst WRONG. Was Lisa del Giocondo, da Vinci’s model with child or telling herself a silly joke? I guess that deep in the heart of every artist’s soul, there lurks a desire to have a Mona Lisa moment, even those who paint baseball.